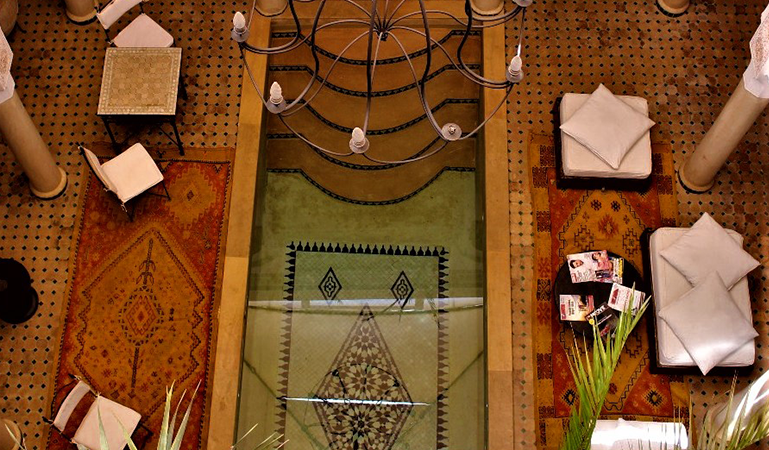 No One’s Company is introducing Riad Andalouse as one of its beautiful collaborations! 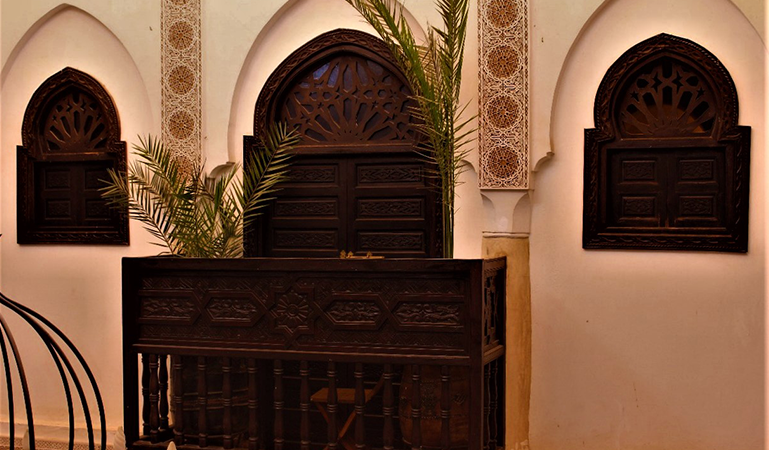 Riad Andalouse in Marrakech, Morocco has always been one of the most attractive Riads of the Medina, it holds a historical name and decoration. 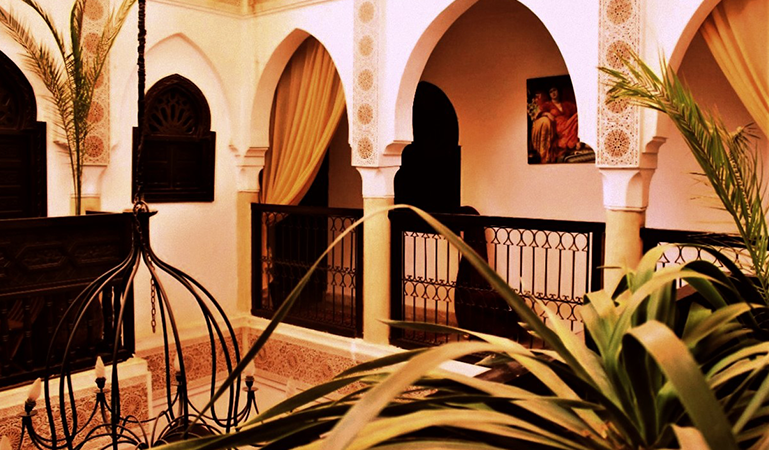 This Riad hosts international tourists every month and tend to be mysterious and private by closing its doors and giving its clients the calm they asked for. No One’s Company has Riad Andalouse in its collaborations list, because it’s one of the greatest Photoshoot locations of the Medina! It has a nice outdoor spots without really being outside, the architecture allows enough light to come in and the space is well managed to provoke enough creativity for one session. This beautiful place kept a vintage Moroccan soul in its decoration, which made it the main reason that attracted No One’s Company! We seek places that are well preserved by its owners and team, so our projects can be blessed by people who own souls of good investors. 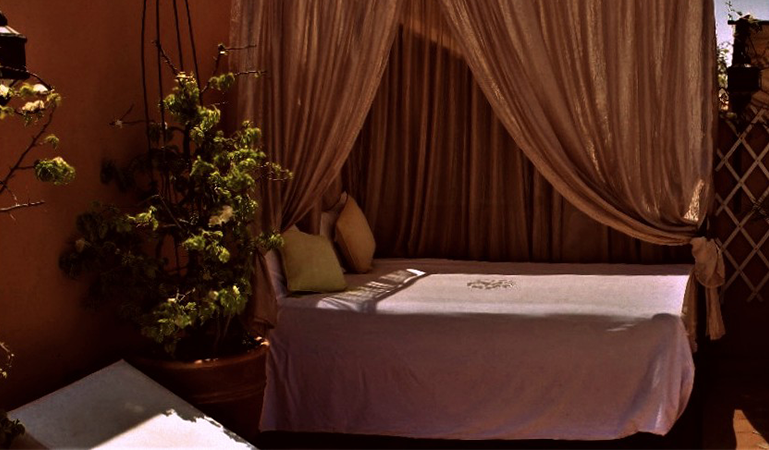 Riad Andalouse shall be in your trip/travel list if you are willing to stay a few days in Marrakech, especially if it’s your first time! 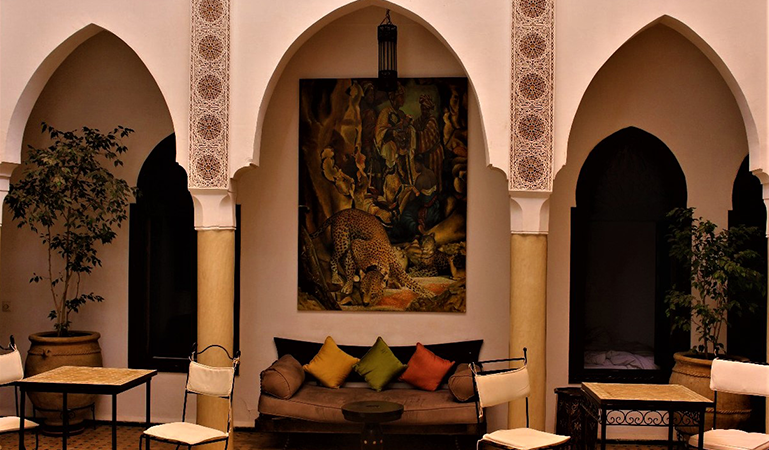 You will be in an artistic Moroccan environment that is near all the famous touristic sites and addresses.